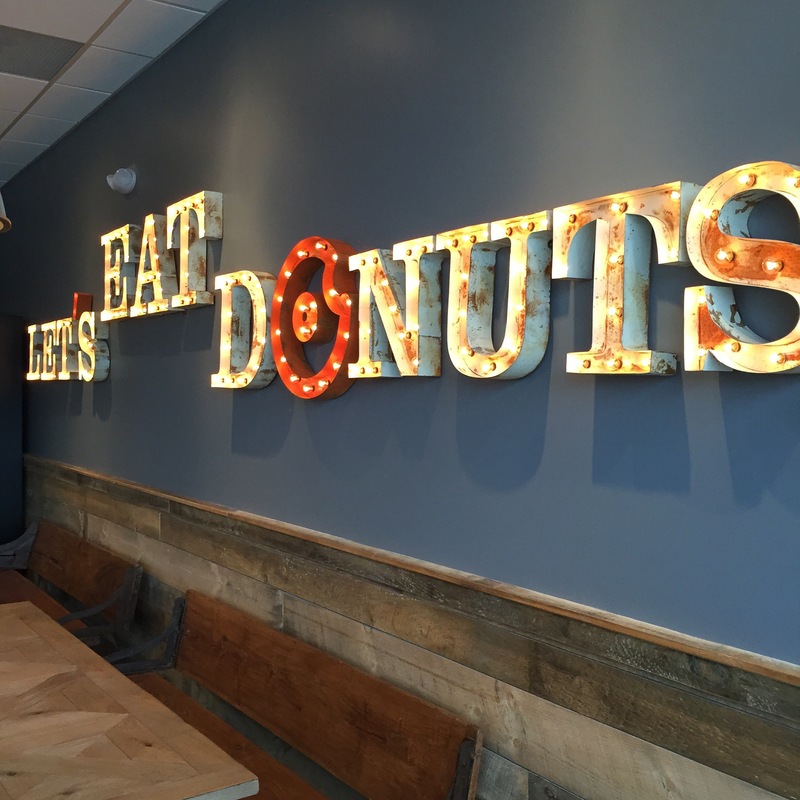 Donut lovers there’s a new artisanal donut shop on the River Road in Shelton and they are changing the way we will forever think of donuts. 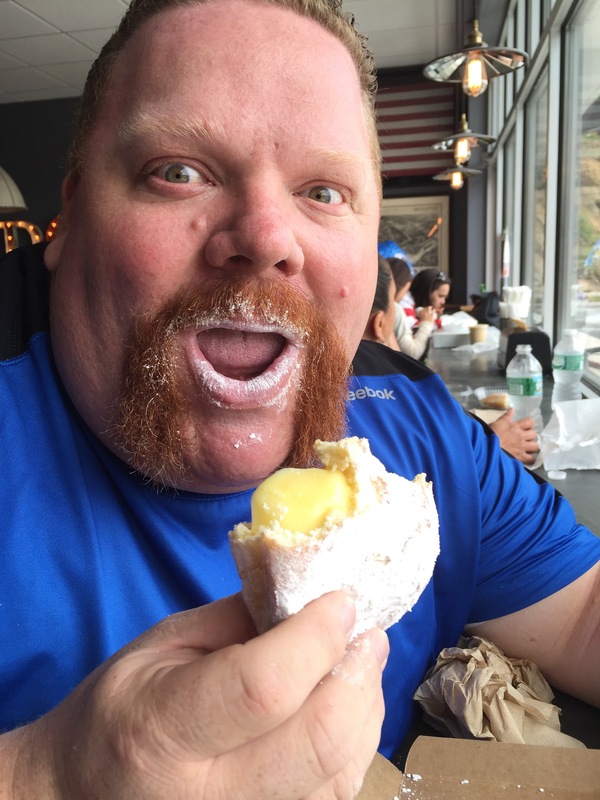 Donut Crazy is a game changer in the world of donuts both locally in Connecticut and beyond. And I am obsessed, I tell you. OBSESSED with Donut Crazy. Why am I so crazy for donuts from Donut Crazy? 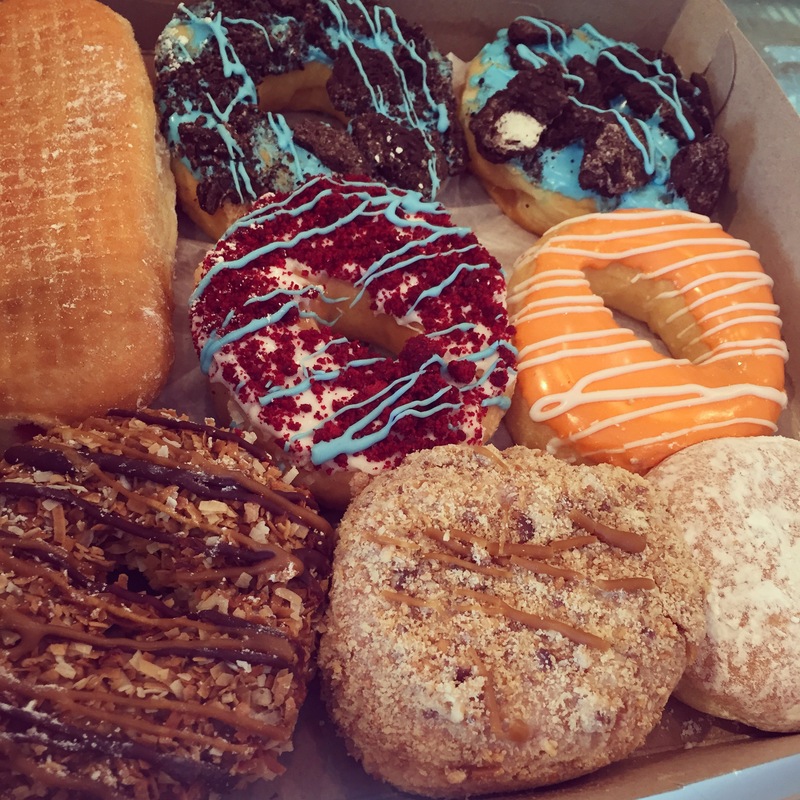 Where else can you get donuts hand made fresh daily with such unique flavor concoctions? No where else in Connecticut but Donut Crazy.The donuts are so fresh that it is the first thing you will immediately notice when you bite into one. 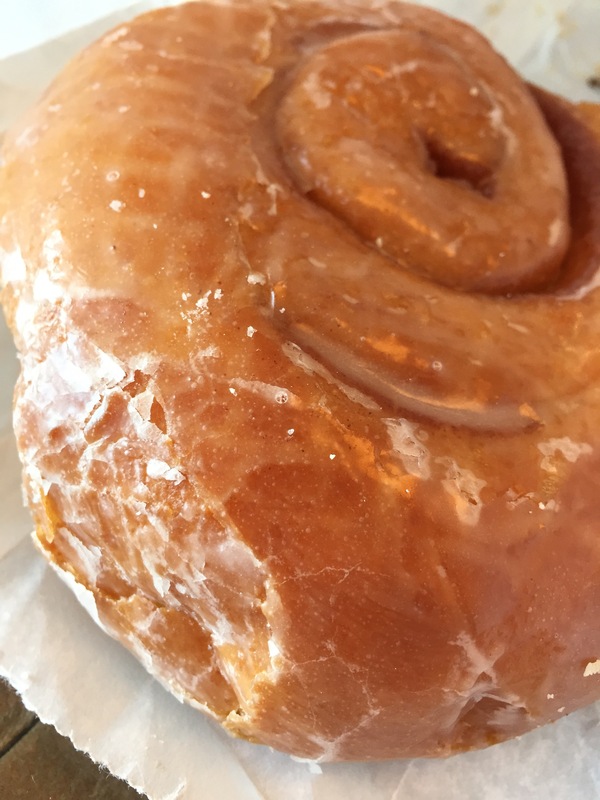 Yes, we have a large donut chain with locations throughout our entire state, and I still eat donuts from there occasionally, but my love affair with these artisanal donuts began the week they opened and I haven’t looked back. Now every Saturday morning my friends and I have a donut date at Donut Crazy. After crossfitting so hard all week, we like to indulge in a treat on Saturday mornings (thank you Hartford Courant for the shoutout). Seriously, every Saturday for weeks I’ve been eating, ahem researching, the donuts at Donut Crazy. I mean, I had to try as many flavors as possible so I could report back to all of you, right? 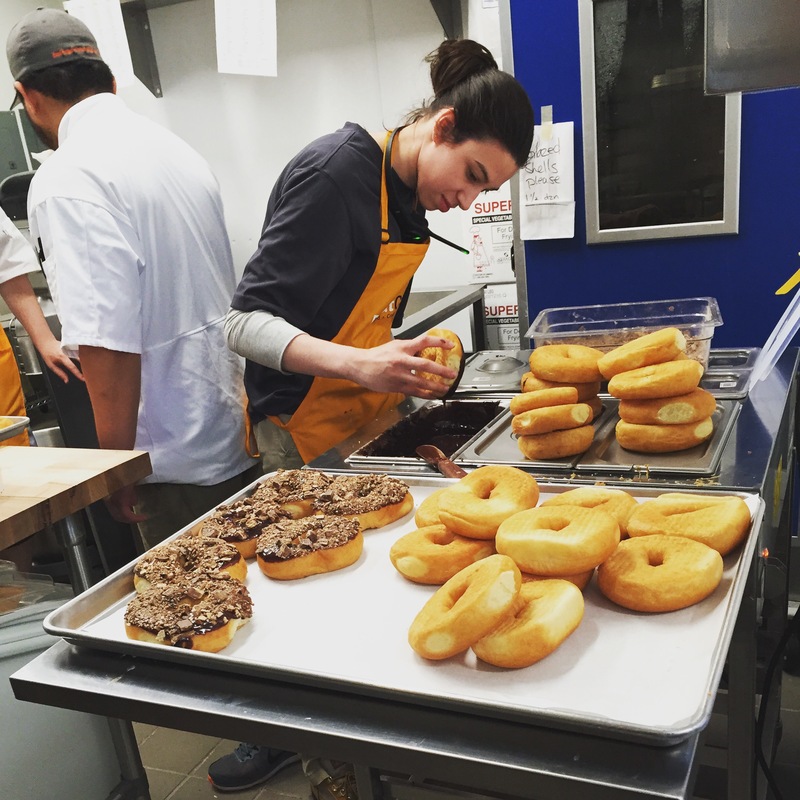 So let me give you the lowdown on the donuts I have tried so far at Donut Crazy. There are two types of donuts available: “Daily Donuts,” which you would expect at any donut shop such as donuts with glaze, frosting, sprinkles, jelly, and powder on them along with quality unique donuts, or “Special Appearances,” which will grab your attention with their clever names and your taste buds with the unique toppings – crushed candy bars and cookies, and frosting and flavor combinations you wouldn’t expect for a donut. The yeast donuts are surprisingly light even when covered in every sugar addict’s dream of toppings and the cake donuts, while somewhat heavier as you would expect from a cake donut, I have been pleasantly surprised by since I am usually not a fan of cake donuts in general. 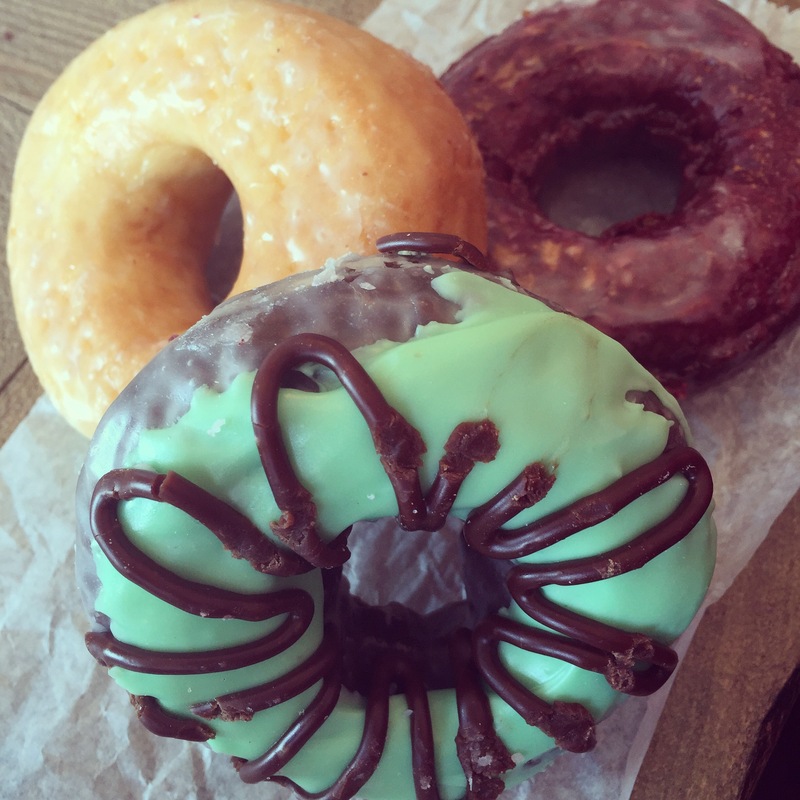 The “Daily Donuts” are the classic flavors you might expect to find at any donut shop. So what sets these apart from others? I’d have to say freshness. Since I have been eating Donut Crazy’s donuts for a few weeks now I notice a difference if I grab a donut at another donut shop. 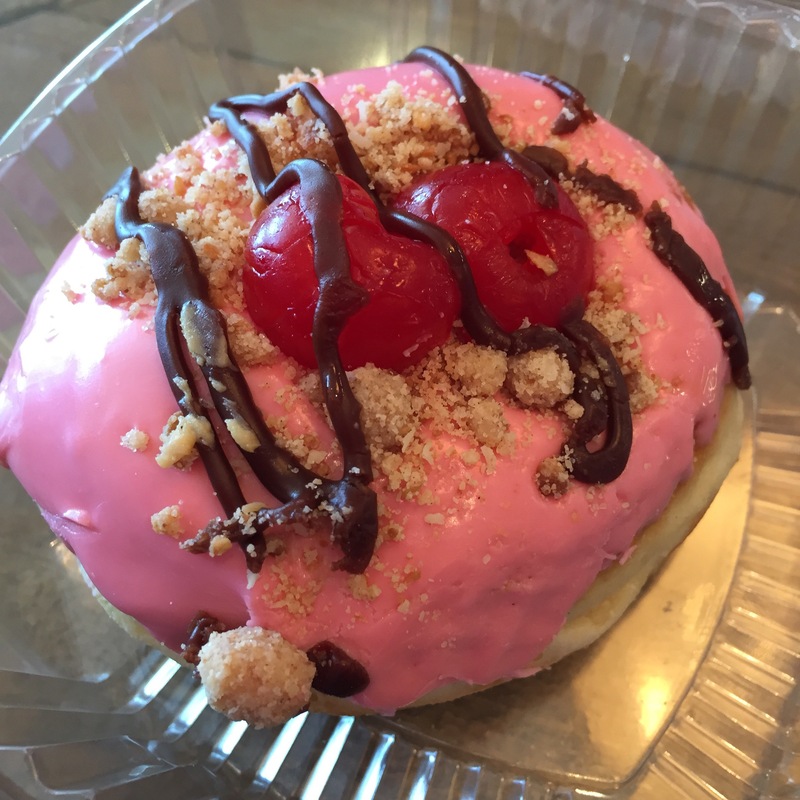 At Donut Crazy you can expect a rotation of these “Special Appearances” enabling you to always have the option to try a new flavor if you should choose. “Special Appearances” are also regularly posted on Donut Crazy’s website (to see the current list you can check their website here). When a new flavor makes its appearance the growing fans Donut Crazy has already built up in the few short weeks they have been open head over to try the new flavors. Certain days of the weeks and certain times are popular so you can expect a line sometimes especially on the days a new flavor is released. But be patient, the donuts are worth the fast-moving line. 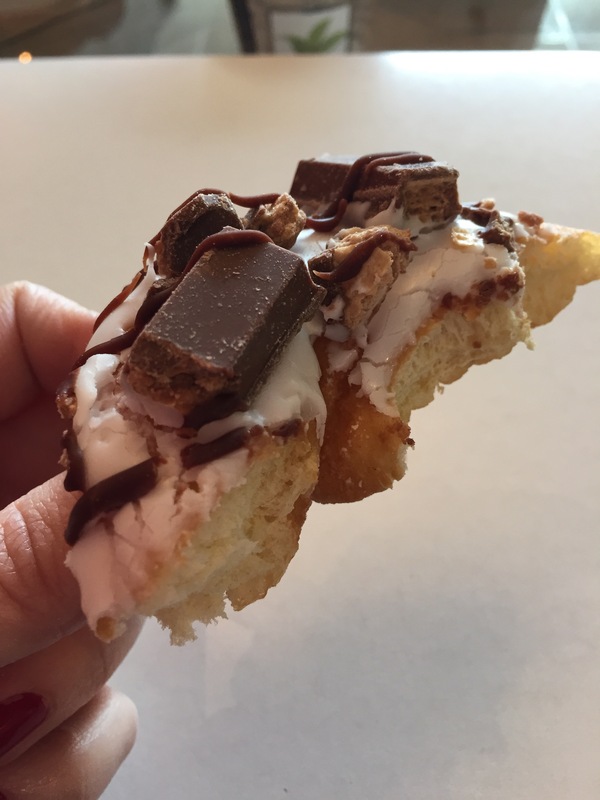 One of the most unique donuts we have tried has been the Fat Elvis. 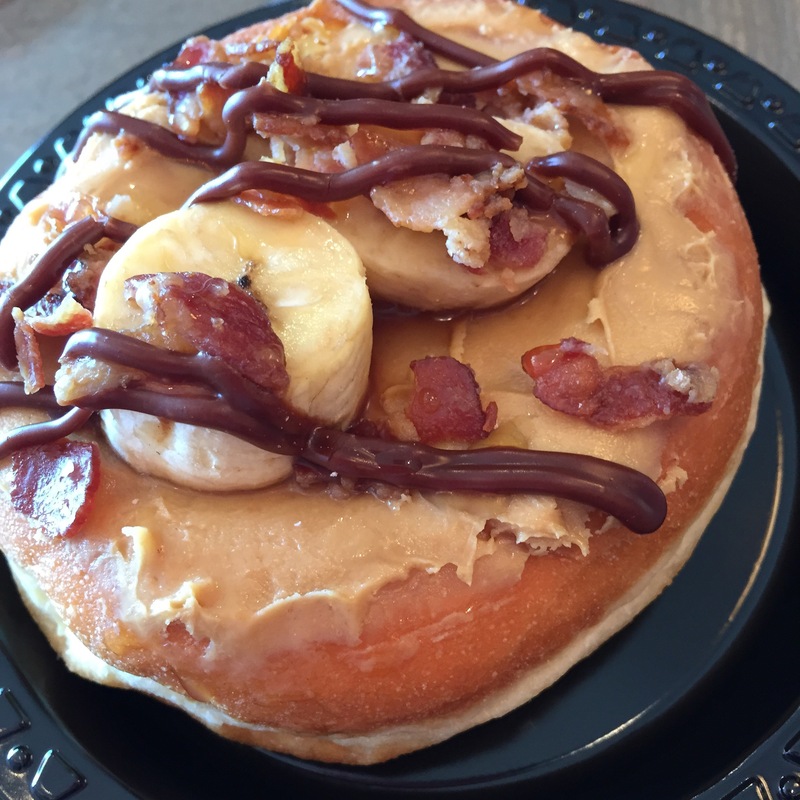 Fit for the King himself, the Fat Elvis is filled with banana cream and topped with peanut butter, bananas, bacon, and drizzled with chocolate and honey. 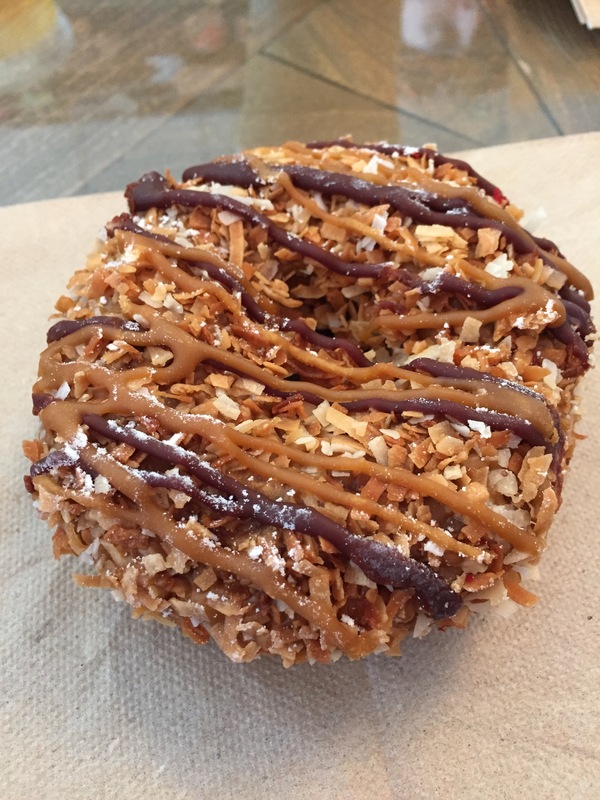 If you like peanut butter and banana together – order this donut. Bacon lovers, I know you’ll try all the flavors with bacon on top because, I mean, it has bacon on top. 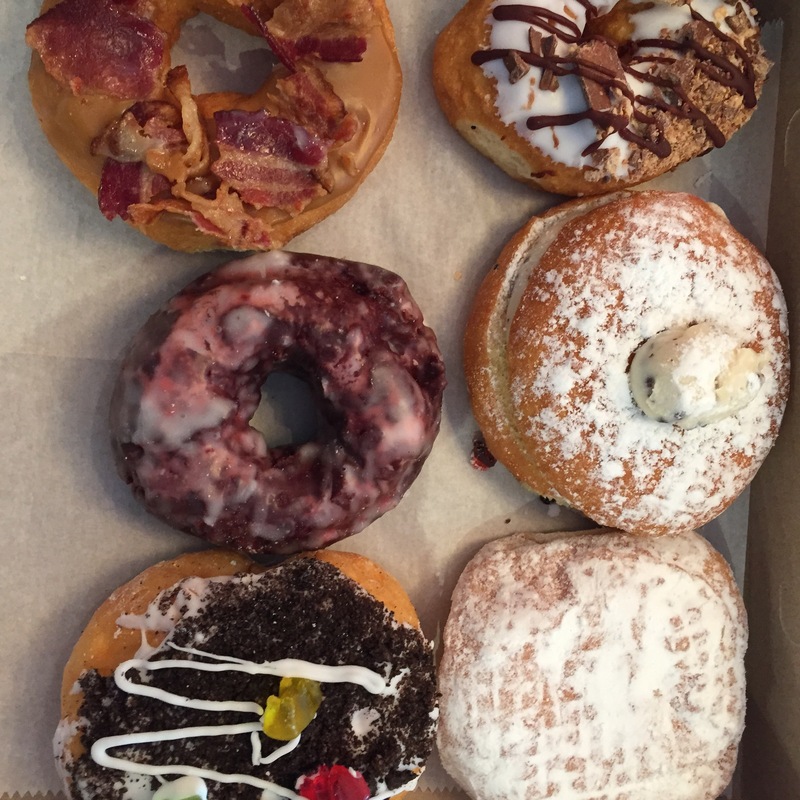 Speaking of bacon on top, the Maple Bacon donut is sweet yet lighter than I expected. The maple glaze balances with the saltiness of the bacon in a way that you might actually be able to eat more than one in one sitting. Cherry Bomb is filled with a lemon center and covered with cherry icing and crumb topping. Don’t forget the cherry on top! Calling all Girl Scout cookie lovers – the Samora tastes as close as a donut can taste like a Samoa Girl Scout cookie. 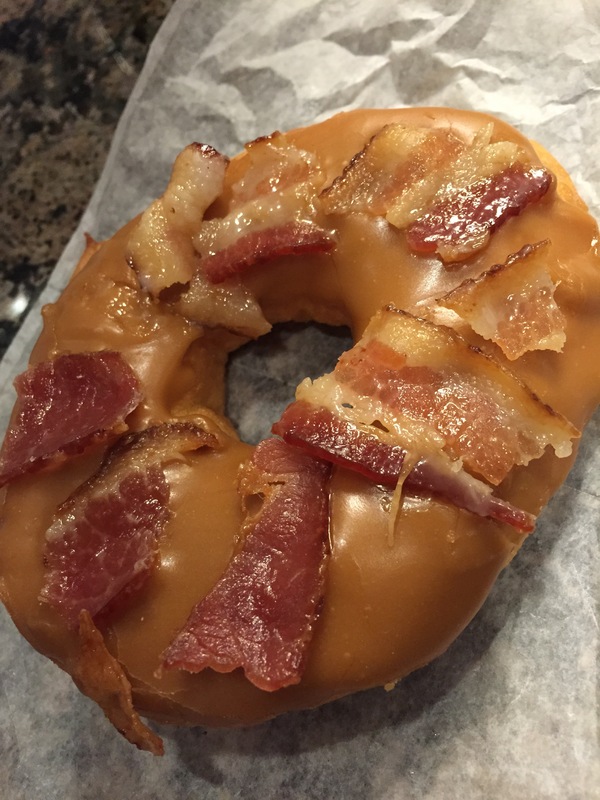 Warning: it is a heavy donut (aka you’ll only need to eat one donut)! 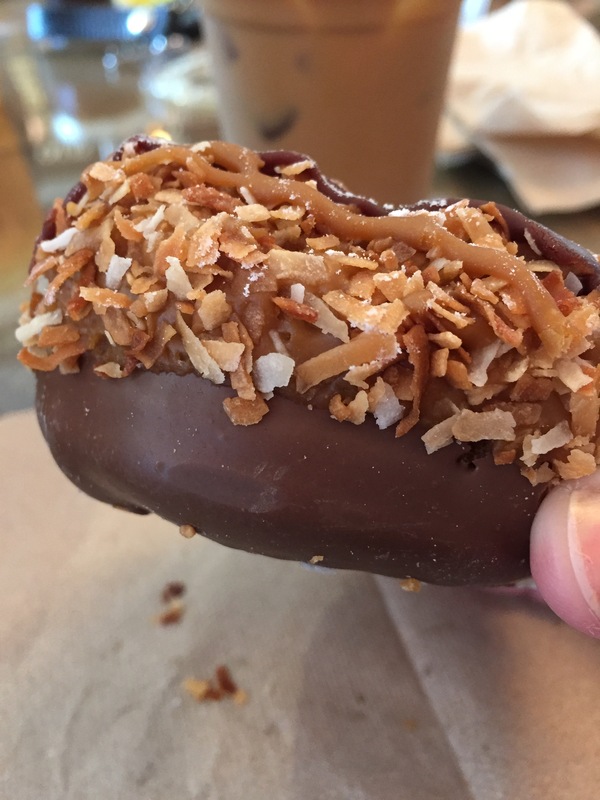 The bottom of a cake donut is dipped in chocolate and then covered in caramel, toasted caramel, and dark chocolate is drizzled over the top. Some other special appearance I would recommend are the Mumbo Italiano (aka Cannoli), Kandy Krush, Mud Pie (see below), and the Nutty Nutella. 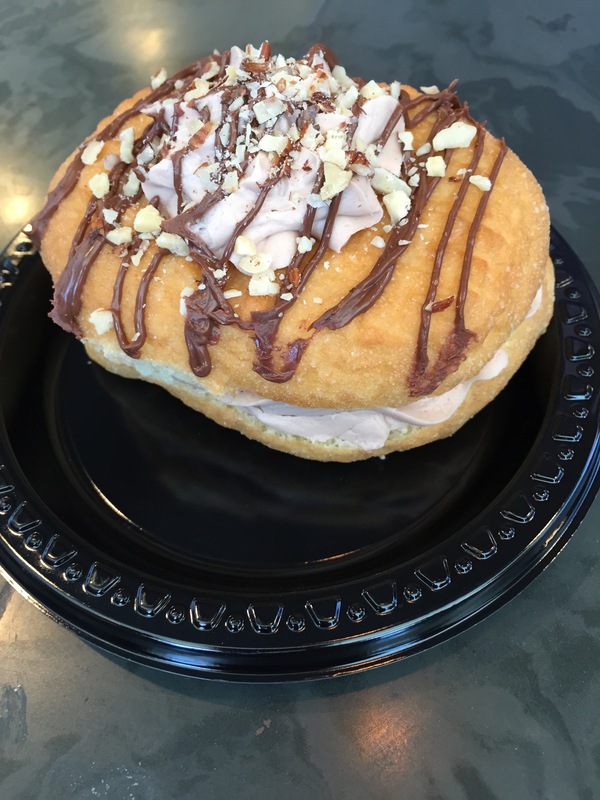 The Nutty Nutella is every Nutella lover’s dream – a nutella mousse filling which is light, almost whipcream-like in texture fills the donut, which is then frosted with nutella and chopped hazelnuts. We have tried many flavors, and you know what, they’re all delicious. It really comes down to a matter of personal preference! I know, some of you are probably shaking your head and doubting me. There was only one flavor I haven’t liked, but it was entirely personal preference because everyone else I asked loves it. Are you craving a donut yet? Need a recommendation, can’t decide? My personal favorites I order over and over again (and the list is growing! ): Red Velvet, Samora, Nutty Nutella, Mumbo Italiano, Kandy Krush, Kookie Monster, Apple Crumb, and the Strawberry Crumb – these two are the closest I think you can get to the happy union of a piece of crumb fruit pie and a donut! 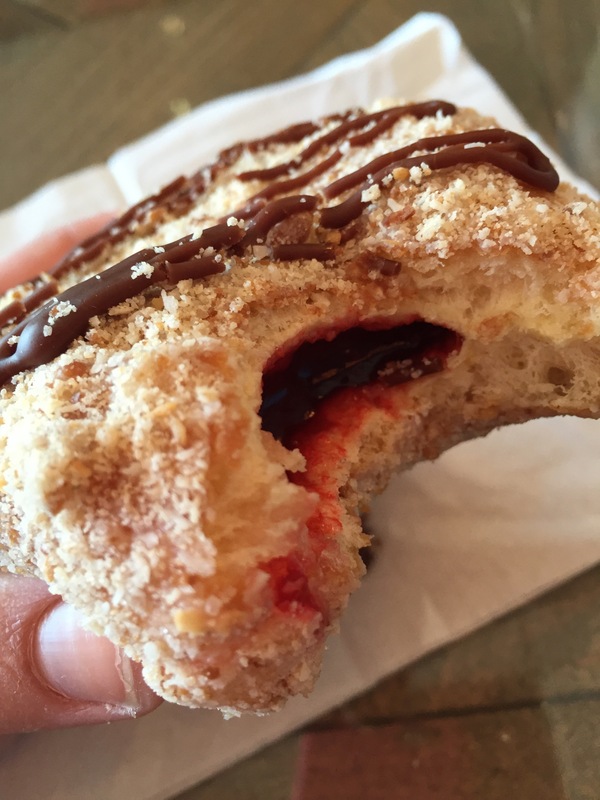 Also, I really enjoy the coffee roll, croissants, and the grilled cheese donut (read more below). When what you’re eating is so good you forget to take a photo until you’re halfway done eating! This is the Kandy Krush. 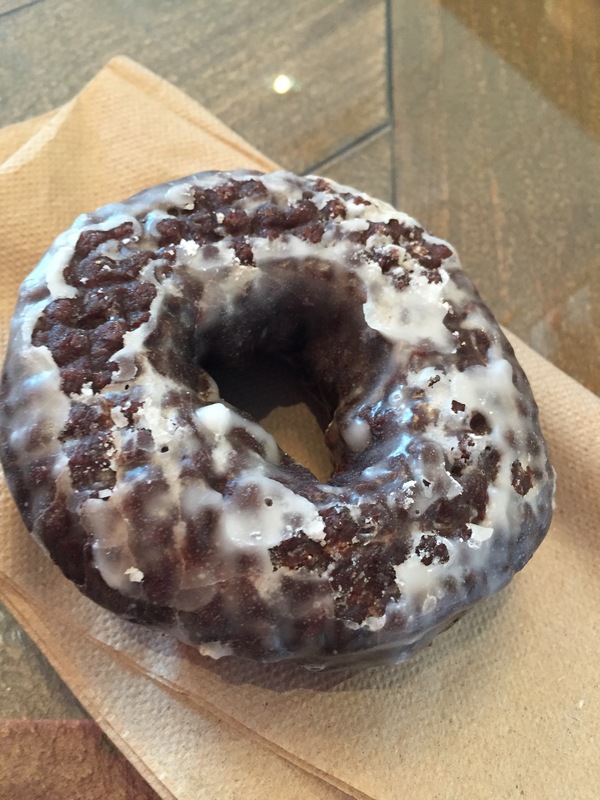 On National Donut Day I tried the Kookie Monster! Oreos and frosting – what’s not to like? Bavarian Cream is my husband Ron’s favorite! 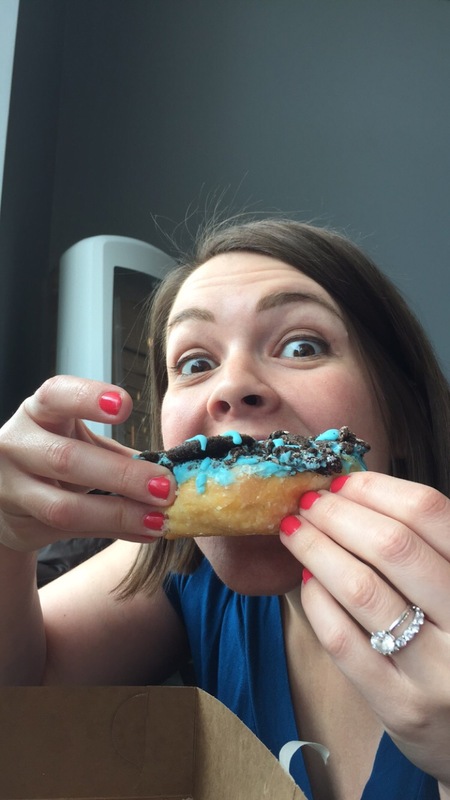 We went to a Donut Crazy today in celebration of National Donut Day and had a blast! Don’t forget the “Breakfast Sandwiches and Such”! 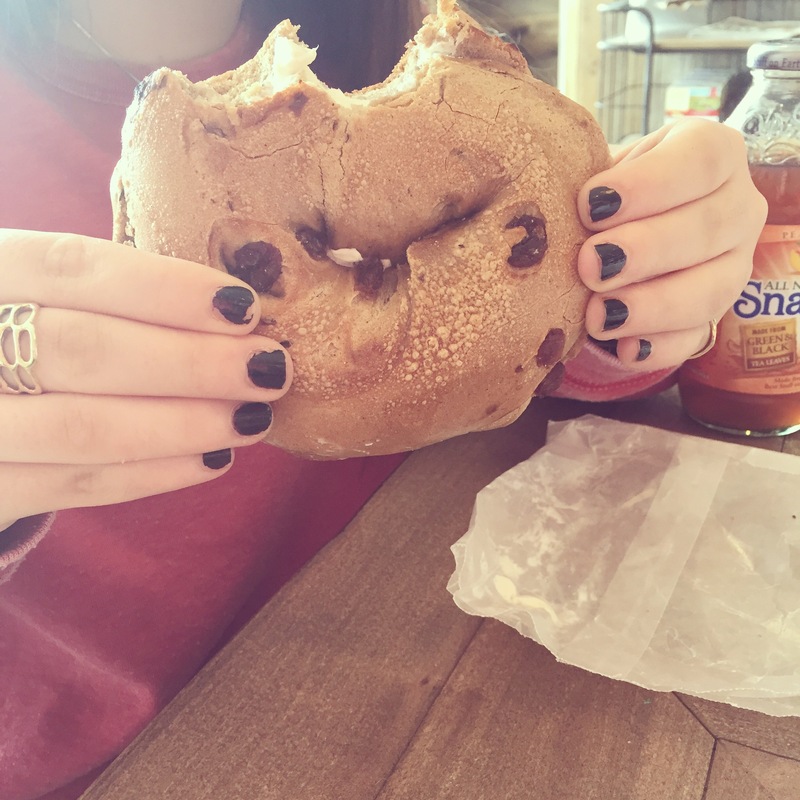 Some of our favorites have been the coffee roll, bagels, flagels (flat bagels), croissants, and Udi’s gluten free products for my gluten-free friends! Egg sandwiches have been a hit along with the fresh-squeezed orange juice and the grilled cheese donut (Take a sugar cane or glazed donut, cut it in half, and put your choice of cheese in the center to make a grilled cheese sandwich! The sweetness of the donut goes with the cheese surprisingly well.). If you see me there on a Saturday morning, say hello! I’d love to talk donuts with you! 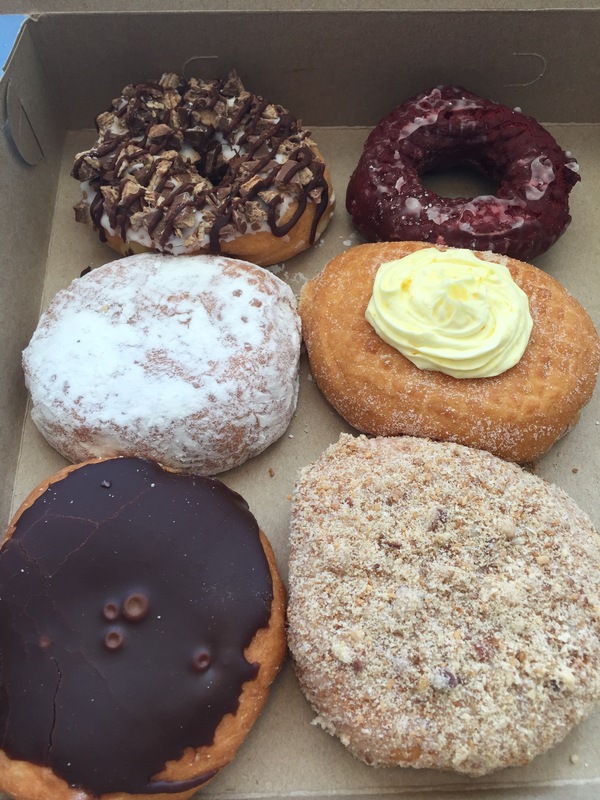 Donut Crazy has two locations: 3690 Main Street, Stratford and their larger location 785 River Road, Shelton. Hours: Sunday – Thursday 5am-9pm; Friday and Saturday 5am-10pm. Maple Water Fitness Smoothies Now Available For A Limited Time at Robeks!